Krakow is a place that knows cold. In January, the mean temperature is 27 °F, and often the temperature dips far below that, especially in the evenings. The icy winters do little to cheapen the magic of this old city, however. All that is required to fight back the biting wind is a warm drink. 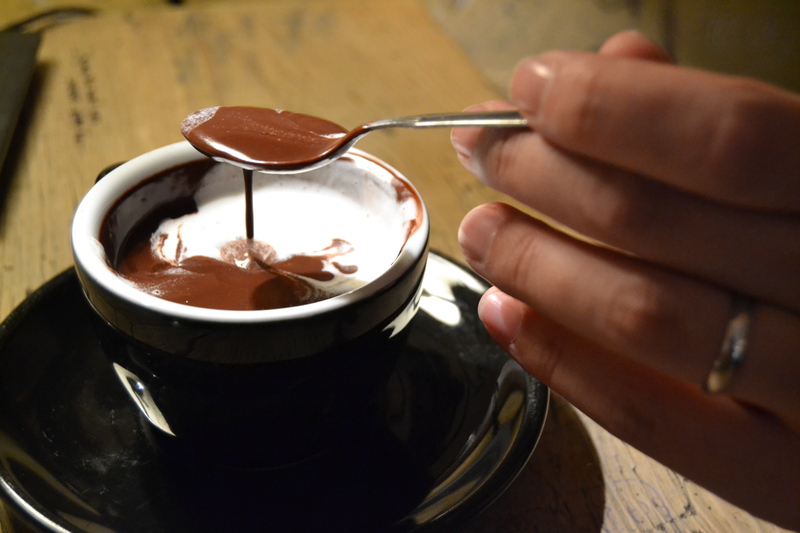 A subtle, yet important, distinction is made among some between hot chocolate and drinking chocolate; the difference being that drinking chocolate is made with melted chocolate, rather than powdered chocolate, or some kind of watered-down concentrate. We’ve discussed warming beverages before, but this one takes the cake. 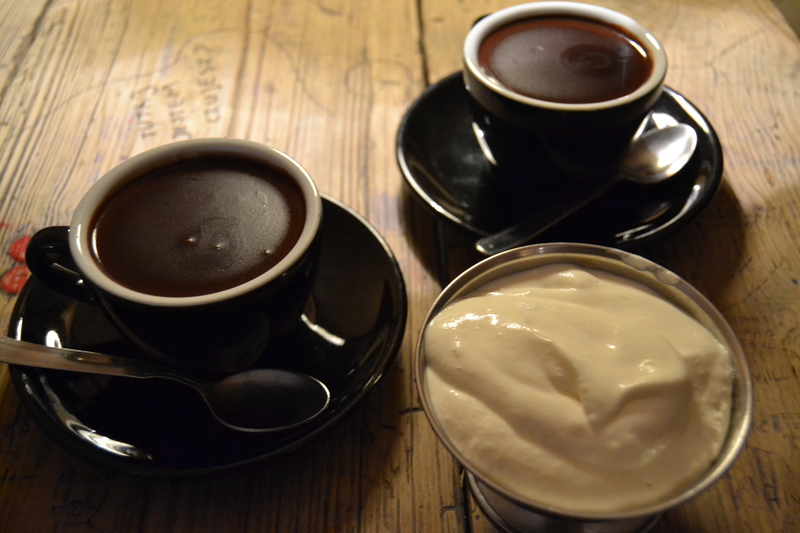 At Nowa Prowincja near the old-town square in Krakow they serve a rich, buttery, hot chocolate that more closely resembles chocolate pudding than it does the thinned out excuse for hot chocolate in your average coffee shop. 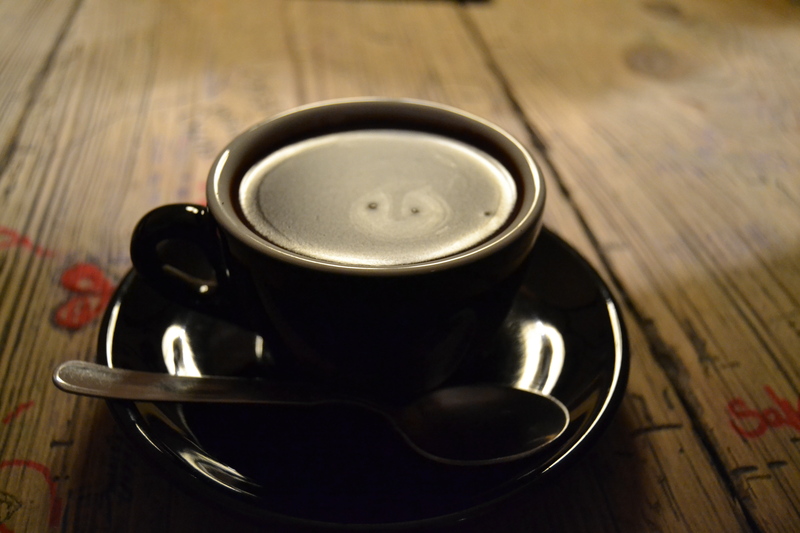 The chocolate is continuously slow-churned, giving it a richness that is surprisingly smooth, and makes the cold winter nights just slightly more bearable. I look at this picture taken earlier this week, and these are the things I find myself wishing I could tell my little dude, a year old today: You came into our lives and the colors changed. You turned the yellows into gold. I’ll never forget the way you changed my life in an instant, the moment I first held you..and now a year later I can’t imagine a world where you weren’t our center, our goal, our future. Someday I hope to tell you what it’s like to come home from my impossibly long days and watch you marvel at every thing. Someday I hope you’ll feel this way about another person, your own son or the ones you love the most. Someday I hope to find the words to describe this inexplicably large feeling I have for you. I love you, son.